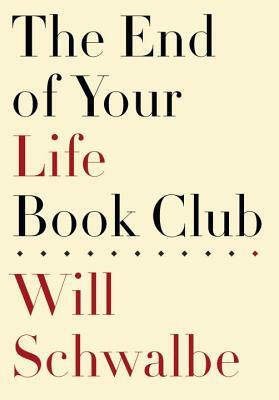 The End of Your Life Book Club by Will Schwalbe – I read this book in Dallas. That’s work with my A to Z theme, right? First of all, if you haven’t heard of the Progressive Book Club, check out what a our book club host ML Swift created. I really loved this book. It was simple, sad, hopeful and beautiful. I got so much out of it. Have a great first line. Tell a story and involve the read in the lives of the character. BTW, if you haven’t seen Auntie Mame, check it out (the Rosalind Russell version). The book was about a mother dying of cancer, a son who tries to deal with it the best way he knows how and the time they spent together reading amazing books. And, if that’s all you got out of it, you missed the point. Great book. You must’ve gone live midnight your time–I’m still on O! Good review. I like the breakdown to different lessons, and a reading list. But I’m with his mom on reality TV. Or pretty much any TV. Spot on about being bold to state you are a writer, though. These are pretty disjointed comments. It’s very late here! No worries Rebecca. All comments are welcome. haha. What a great post! You see that written a lot, but this was truly fantastic. For one thing, I LOVED that you included the list of many of the books. It’s like my old High School recommended reading list. I wrote some of them down myself, but I’m bookmarking this post. A book I’ve already ordered (because the Kindle download was free!) was the devotional his mom read, Daily Strength for Daily Needs. I also want to get The Etiquette of Illness. That seems to be a book that would come in handy as we get older and encounter more and more people who are experiencing life changes due to health issues. I also loved the Auntie Mame part. I love the movie (yes, the original is superb, but I also like the Lucille Ball version). This was a truly excellent post about your experience with the book. Thanks, Sydney. Thanks so much Mike. I guess you can tell, I loved the book. I had seen the original so many times and loved it, I think the Lucille Ball version felt like an unnecessary remake. It is a great story. Great lines. I need to do a post on that movie. Mike, I think that about getting the Etiquette of Illness book is a great idea. Not sure why I didn’t think of it–except that a part of me almost treated the work as fiction, and the books mentioned might or might not be real. Every book mentioned was real. They have a reading list at the back of my version. I didn’t included all of them, just the ones that made me think, oh, that sounds like a great story and definetly books I wouldn’t normally read. In fact the only one mentioned in the book I had read was Lord of the Flies which they didn’t read just mentioned and The Hobbit which I enjoyed. Oh, I KNOW they are real. It’s just brain fuzz. But sometimes it was easier to think of it as a story. Wow, every last one of those you listed under Life lessons is fantastic and I will be noting them. Love your list of TBR books. I read Travelling Mercies after reading Bird by Bird for the book club and loved it. It was very quirky and amazing in ways that left me shaking my head. She’s one of a kind and her journeys are too. Traveling Mercies is one of the books that I had sort of dismissed (because I’m not religious), but Schwalbe’s response to it reminded me that LaMott could never be anything but entertaining, and I will probably give it a shot. I haven’t read it. I haven’t heard of it! But the bookclub sounds nice, I am looking for one too. I haven’t read this yet, but now I want to. And you’re so right–it’s so imoprtant to involve the reader in the lives of the characters. I think a book club would be fun. I might have trouble keeping up though. I would much rather write than read. If you can manage one book a month, you should join us. I always have at least two books going at a time, I need to find more time to write.